Each cell in the body follows a strict protocol for manufacturing the proteins it needs to function. When a cell turns cancerous, however, its protein production goes off script. A new study led by researchers at The Rockefeller University takes a close look at one way in which this procedure goes haywire in skin cells as they turn cancerous. "A cell's identity depends on the levels of proteins it produces, and these can be altered by changes in the way proteins are translated from genetic instructions," says senior author Elaine Fuchs (photo), Ph.D., the Rebecca C. Lancefield Professor and Head of the Robin Chemers Neustein Laboratory of Mammalian Cell Biology and Development at The Rockefeler. "Changes in translation appear to be particularly important as normal stem cells become malignant, and our new experiments detail the control mechanisms behind a shift that occurs just prior to the development of skin cancer," adds Dr. Fuchs, who is a Howard Hughes Medical Institute (HHMI) investigator. The research, which identifies a potential avenue for future cancer treatments, was described online in Nature on January 11, 2017. The article is titled “Translation from Unconventional 5′ Start Sites Drives Tumor Initiation.” In order to function, cells need to turn instructions encoded in their DNA into protein. They do so in two major steps: first, DNA is transcribed into a molecule called messenger RNA, which is then translated into protein. Certain cancerous tumors are known to contain an unusual ratio of protein to messenger RNA, however, which suggests translation is altered in cancer. Using mice, the research team explored changes in translation that occur as the animals develop a common type of skin cancer called squamous cell carcinoma. Clinical trials of a new immunotherapy, pembrolizumab, have shown that it prolongs life significantly for patients with bladder cancer and is active against a rare sub-type of melanoma, called mucosal melanoma. 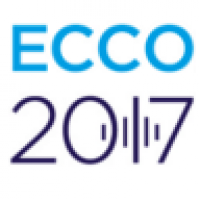 The findings were presented in two presentations at the European Cancer Congress (ECCO) 2017 on January 29, 2017. Until now, mucosal melanoma has often been excluded from immunotherapy treatments for the disease. Melanoma usually occurs in the skin and is caused by exposure to ultraviolet radiation (such as sunlight). Mucosal melanoma occurs in the moist surfaces that line the body's cavities, such as the airways, digestive tract, and genitourinary tracts, and is not caused by UV radiation; there is no known cause. It makes up about one per cent of all melanomas and has a poor prognosis, usually because of late diagnosis - the majority of patients with metastatic disease (cancer that has spread to other parts of the body) survive for less than a year if they have received conventional treatments. Reporting the results from three trials of pembrolizumab for patients with advanced melanoma, Dr. Marcus Butler, a medical oncologist at the Princess Margaret Cancer Centre, Toronto, Canada, told ECCO2017 that 84 of the 1,567 patients in the KEYNOTE-001, 002 and 006 studies had advanced mucosal melanoma. "Sixteen of these patients (19%) responded to treatment with pembrolizumab, of whom 12 are still alive without their disease progressing and, so far, the longest time some of these patients have continued to be successfully treated is more than 27 months," he said.